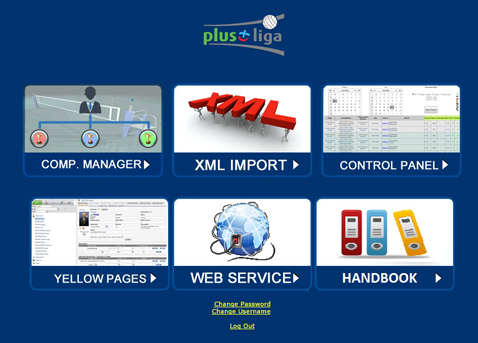 which is built according to your needs: integrated software and services allow you to get various level of completeness from a simple database to the complete site. 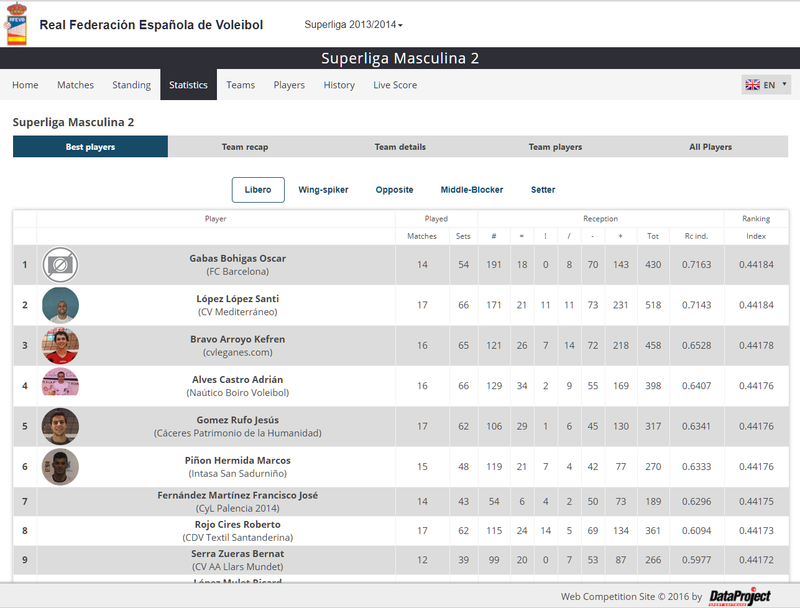 are some of the services you can integrate to the central database: with Data Volley 4, e-Scoresheet and Video Sharing, all the data are automatically collected into the database, ready to be displayed on your microsite. 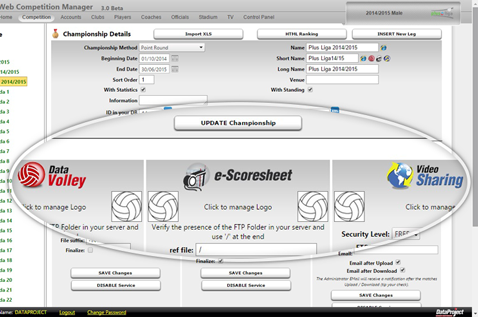 complete the project: created from scratch or added to the Federation website, it can include various contents such as teams and players' information and statistics in real time, play by play, news, photo gallery, video stats and live streaming. 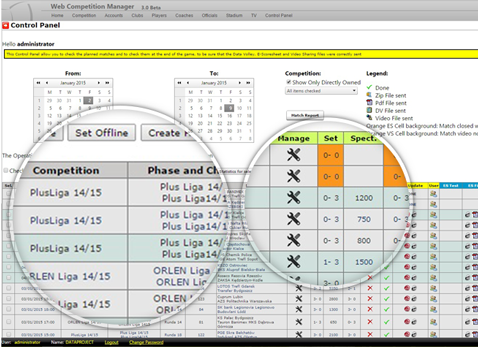 thanks to the control panel, that allows you to display all the information about the competition's organization and achieve a complete and immediate point of view. 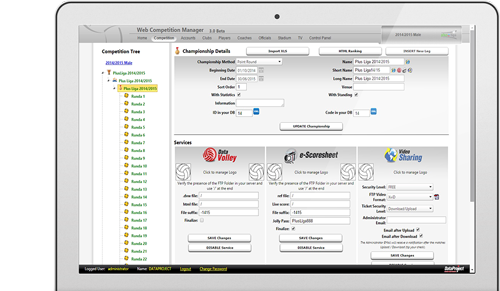 All data in a single database, managed by a quick and intuitive interface, which lets you control all competitions entered and share information through the Web. 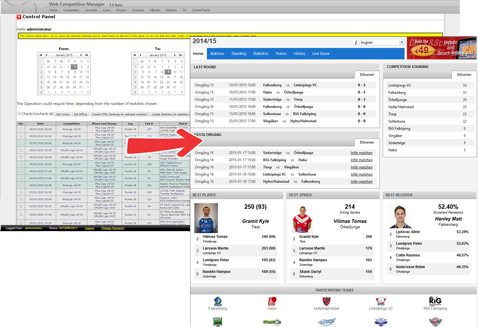 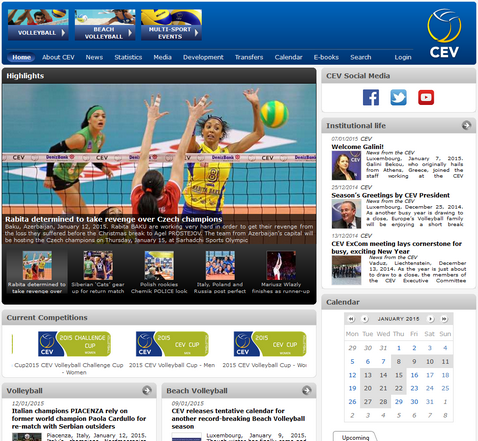 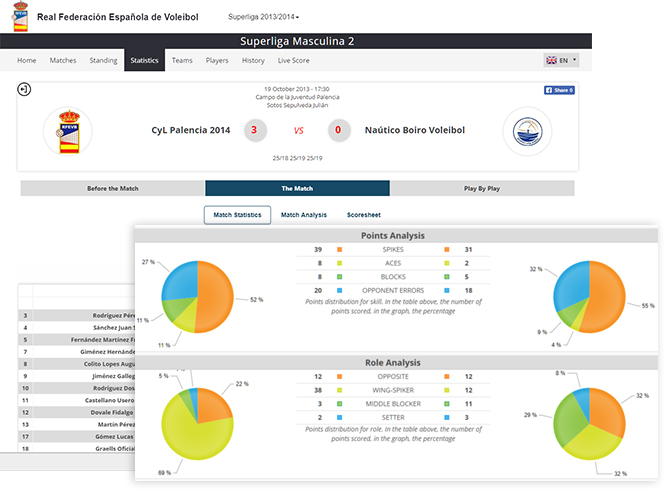 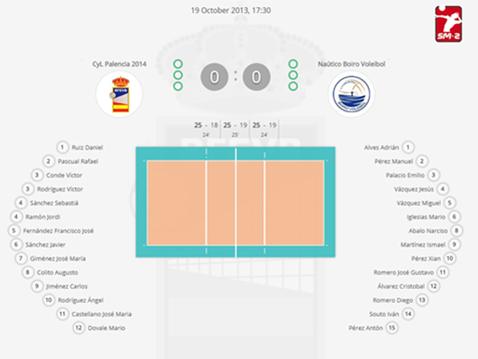 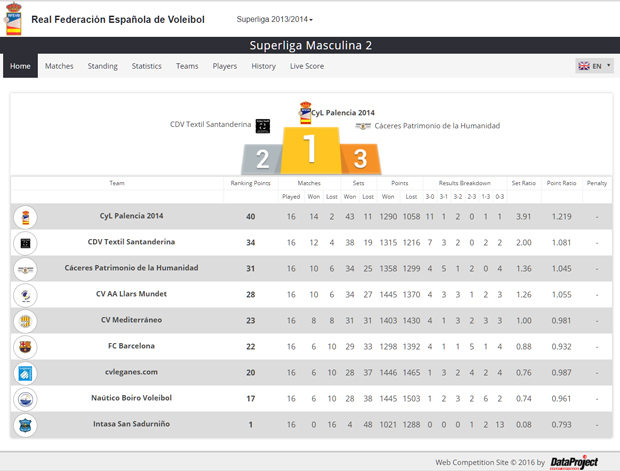 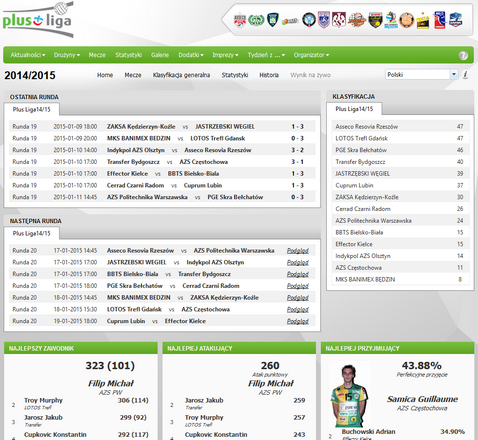 Through the control panel, the administrator is able to display all the information regarding the matches played, thus having an overall and complete vision of the results. 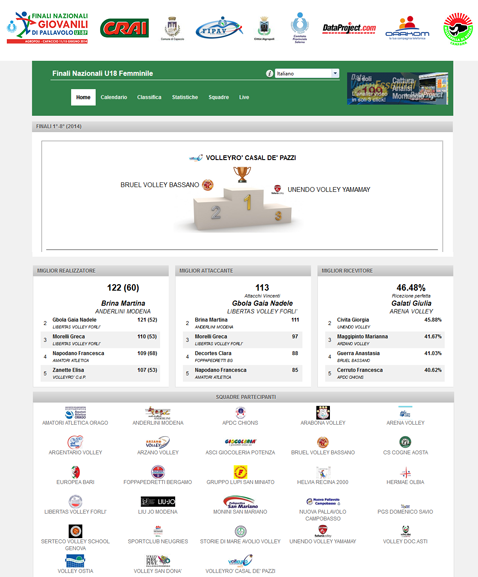 The system is built to suit your needs. 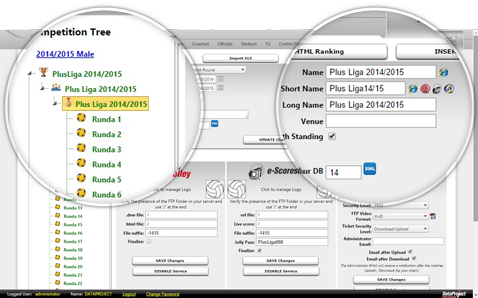 Suitable for any organization, from small clubs to large federations, it consists of software and services fully integrated.